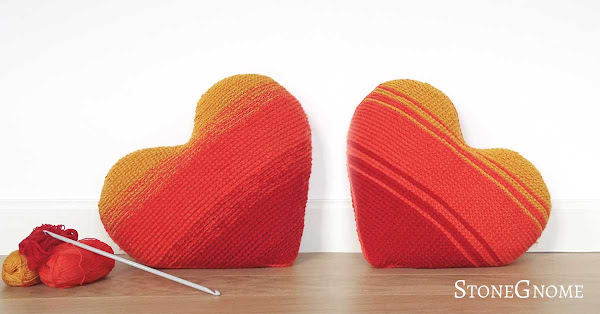 Don't you think a big and a smaller pillow looks good together? The bonus-pages for the Heart on Fire is ready now. This means the pattern now includes a smaller heart too. Tomorrow it is Valentines Day and everyone deserves at least one heart. Here is one for you. The pattern is free for a while. See the details below. 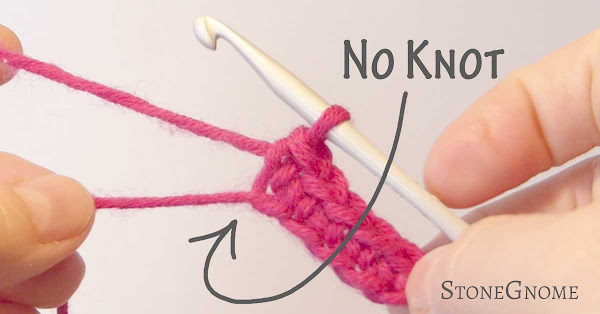 You really don't need that little knot in the beginning of your next crochet project. Here is a video showing how to avoid it. 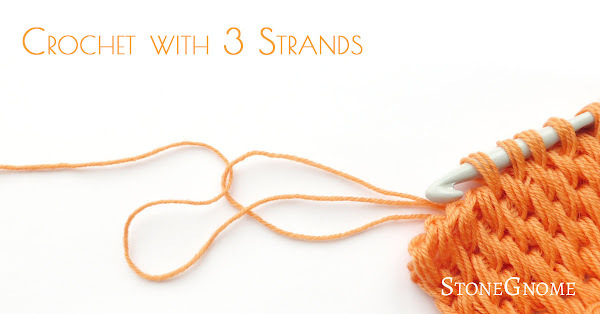 It works with regular crochet as well as Tunisian and it doesn't matter how you like to hook into your starting chain. 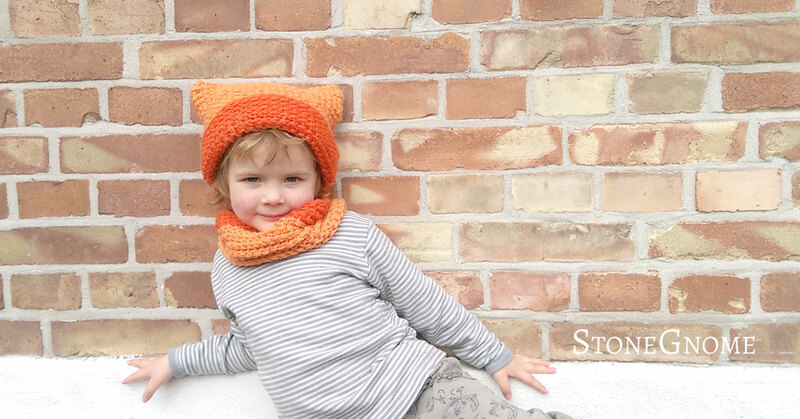 The Bumpy hat has now been translated into Danish. If you need more patterns translated into Danish or German, let me know. A few of my patterns are already available in more languages and it is possible to have a specific pattern translated by request. 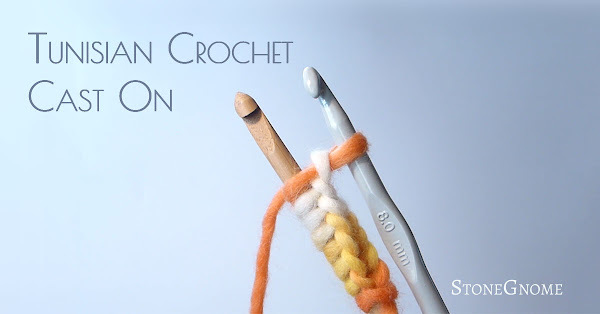 I miss talking crochet with my German translator anyway, so just write below or send me a message somewhere. 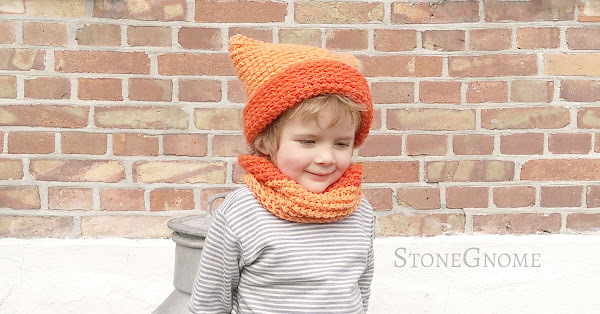 I will update the main post about the Bumpy hat pattern and include the links there too. JFYI. The little girl figured out, that the tube can also be worn as a headband on warmer days. Clever girl. so have a nice weekend! 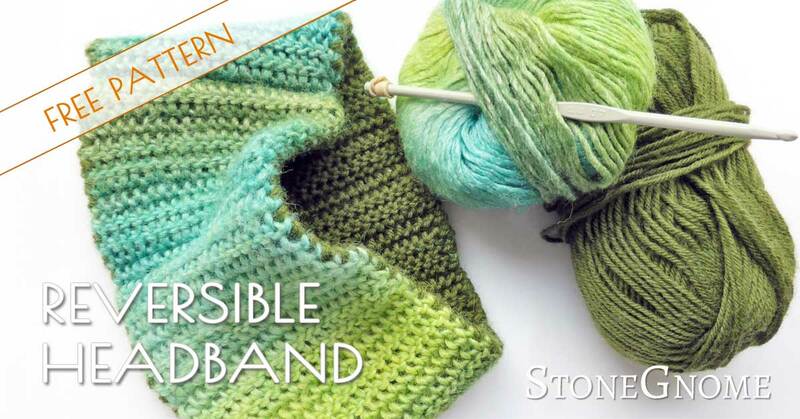 My latest pattern is now available. The hat and tube are square and are very light, despite the bumpy, fluffy look. It was my 3 year old daughter, that requested the hat. Sometimes it is difficult to join or sew two pieces together and make it look good. If you have ever considered working with the Tunisian Reverse Stitch, you might want to read along here. Working with 3 strands at once is fast and gives you a different and softer look than a bulkier yarn does - and you might save yarn too. 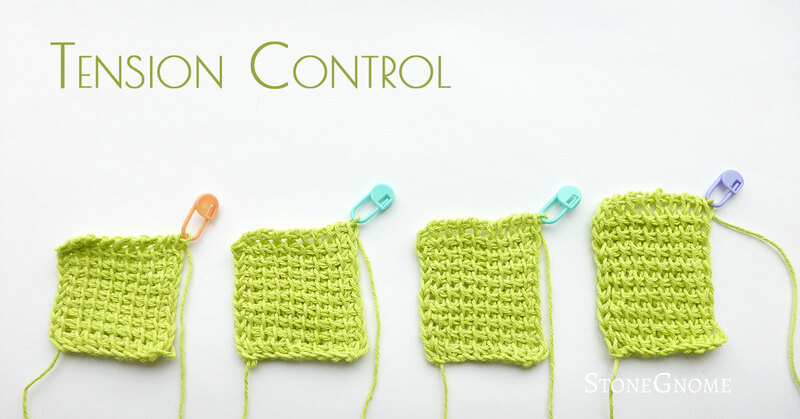 See here how to do it without getting into a big mess and get some tips about yarn usage, hook size etc. Most guides about crochet and tension talks about how tight you hold the yarn with your non-dominant hand. This is only half the story, though. What you do with the right hand (dominant hand) and what you do with your hook, is also important. What if you want to cast on for your Tunisian project and only have one hook? Here is a way to do that. And this technique might be even easier than the two-hooks casting on. I have always admired, when knitters did a cast on and 1-2-3 got thousands of loops on their hooks... eh, needles. You can also cast on, when doing Tunisian crochet - as in without a starting chain. And it is much faster than doing chains first. 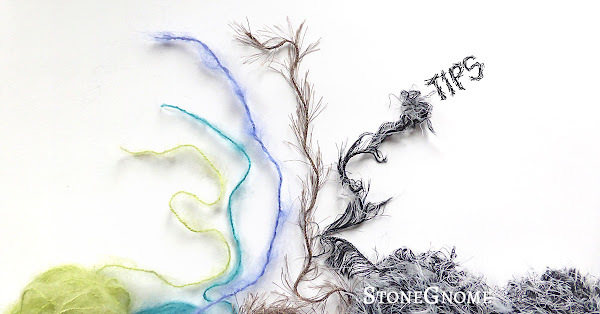 Here are a couple of tips for you, so you are prepared next time you find a fluffy or furry yarn. The Picky Pillow Pattern now includes TWO pillows in the exquisite Twisted Stitch pattern. 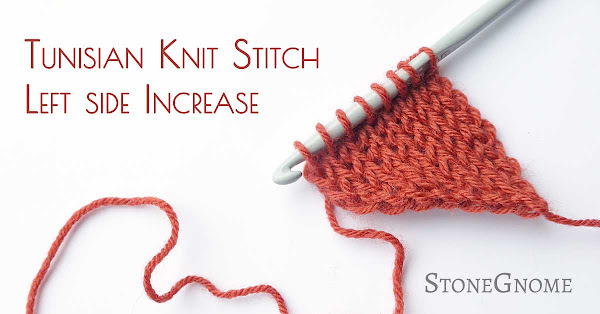 If you bought the pattern already, remember to get the updated version. 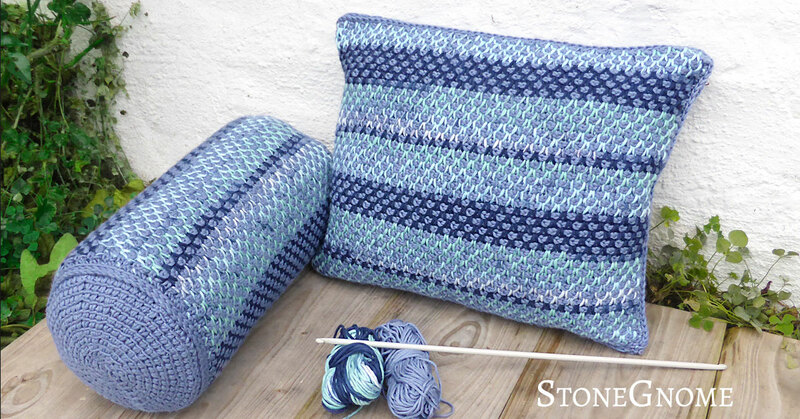 If you haven't bought it yet, go get the pattern for the two beautiful pillows. 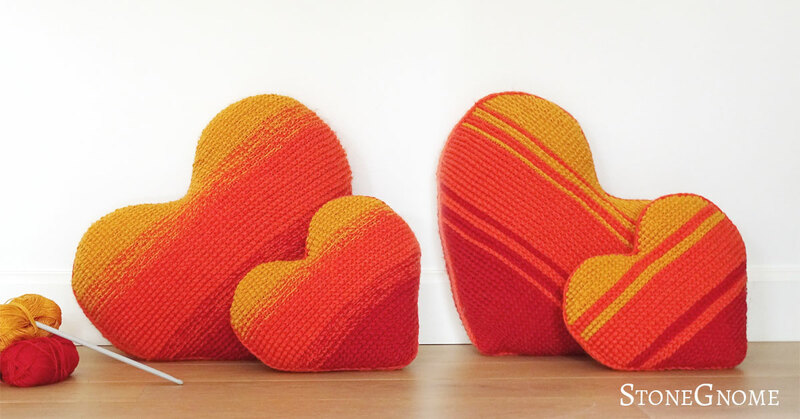 The Picky Pillow is now also available in a Danish version: 'Pernitten Pude'. Therefor the introduction price periode will last a few more days. You will find a Danish version at LoveCrochet or at Ravelry. 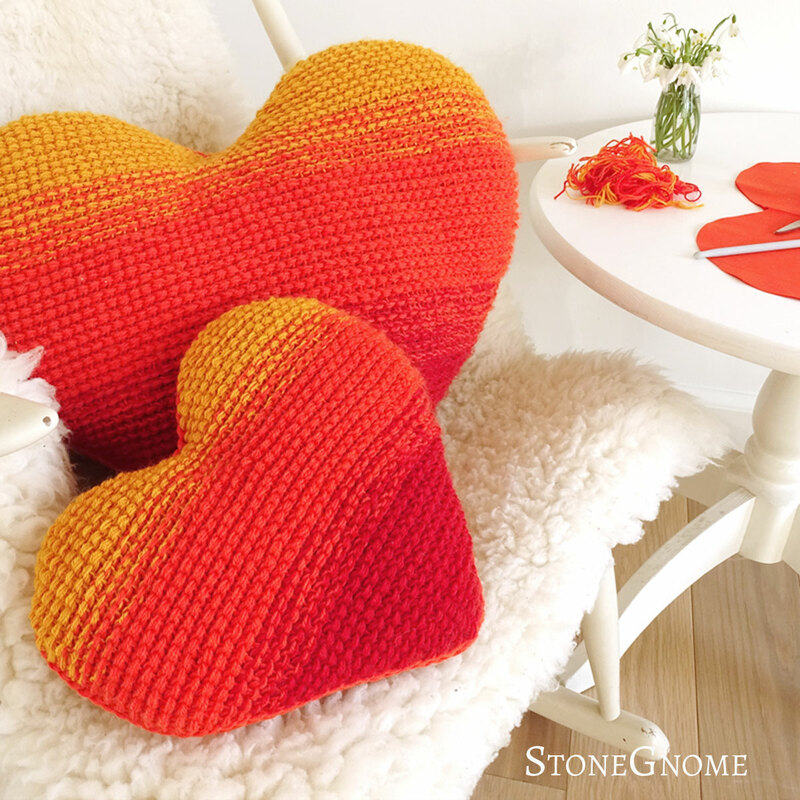 (The English version at LoveCrochet is here). 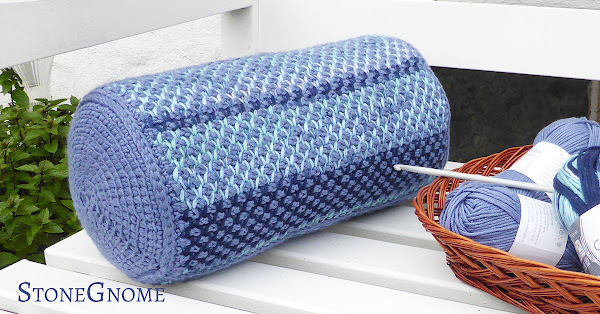 The Picky Pillow pattern is now available. 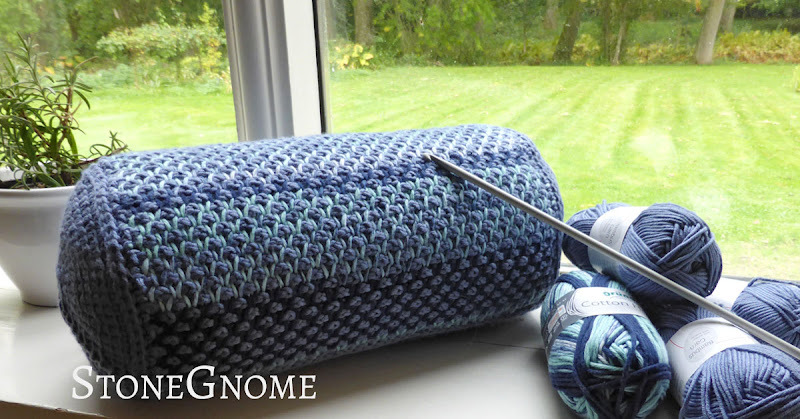 The pillow is designed to support you, when you crochet or knit - or just want to relax. 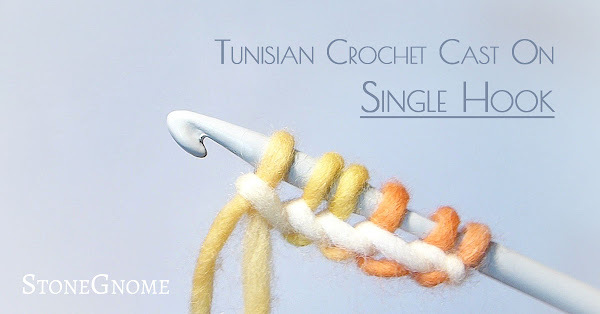 The Tunisian twisted stitch pattern is used and a full photo tutorial for this is included in the pattern, so all you have to know in advance, is the Tunisian simple stitch and how to do a regular single crochet. For a limited time only, the pattern is available at an INTRODUCTION PRICE. ...AND if you buy it now, then make sure you are logged in, as you should then automatically get access to updates. You might be happy about that later on... hint, hint. 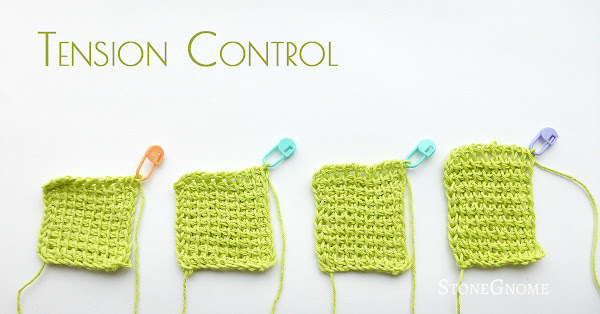 The pattern is available in English (US terms) from Ravelry and LoveCrochet. It is also available in Danish, where it is called 'Pernitten Pude'. 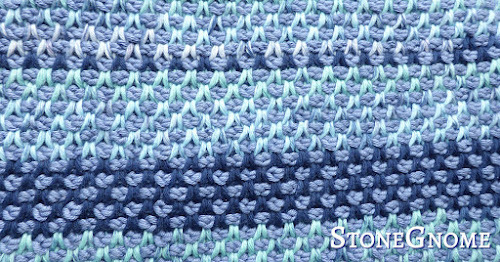 Find the Danish version at LoveCrochet and Ravelry. LoveCrochet also happens to have a sale starting right now. So find your yarn there. As usual you get a pattern with lots of photos and guidance helping you out. The main part of the pillow is worked in rows back and forward. You will need a cro-hook / double-ended hook for this. With or without cable. This also means that the length of your cro-hook doesn't matter much, as you don't have to do a full forward pass before you start a return pass. In the pattern I suggest using an inner pillow. 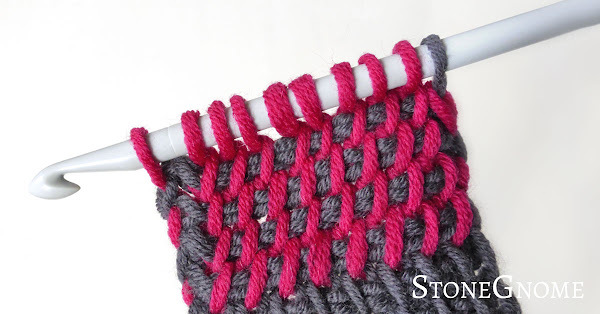 This is optional as the stitches are tight enough to hold the filling in. Personally I think and inner pillow gives you a more expensive looking pillow, and it will of course also help the pillow stay in shape. So instructions for making an inner pillow are included. And it is NOT difficult to make one. The pattern also includes instructions for adjusting the pillow size any way you want. So it can fit any inner pillow you have already or whatever you decide you need. It has been quite a journey to make this pattern. No less than three testers have helped me out and once again, I'm surprised how much testing can improve a pattern. Thank you to Marjolein, Ewa and Karen! If you have any questions, just ask. You can find me here, on Ravelry or Facebook. 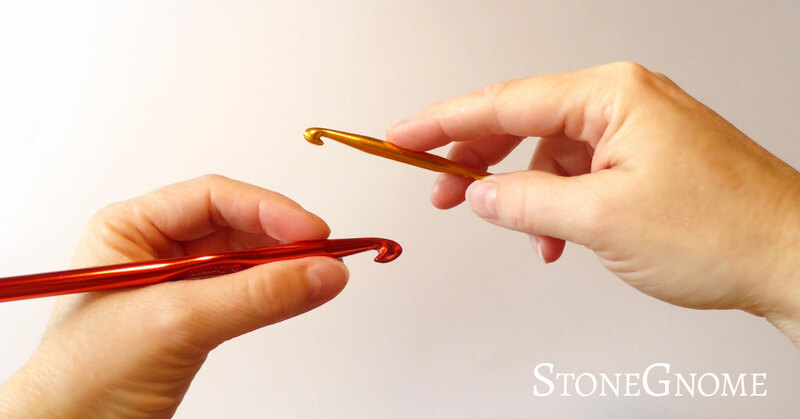 Have you been told to hold your hook as a pencil or maybe as a knife? This might be wrong for you. Then, how to hold the hook? And how to avoid pain, if you want to crochet a lot? Some Tunisian patterns are easy to do, when you work in rounds, while doing rows are considered impossible, or something that requires sewing in a lot of ends. It's just not at all impossible. Nor do you need to cut the yarn and sew in ends all the time. I'll show you, how you add more color to this stitch pattern row by row. 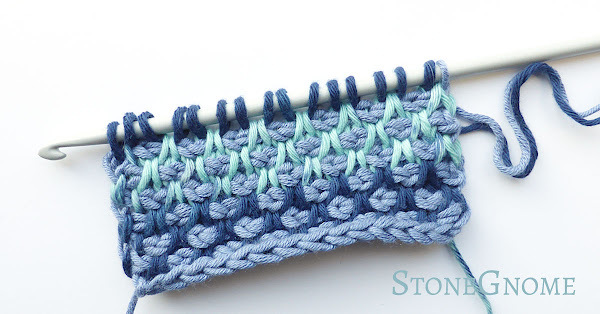 Here is a nice and easy-to-do Tunisian stitch pattern for you. It is one of my favorites and I rarely see other using it, which is a shame. Try it, you might love it too. 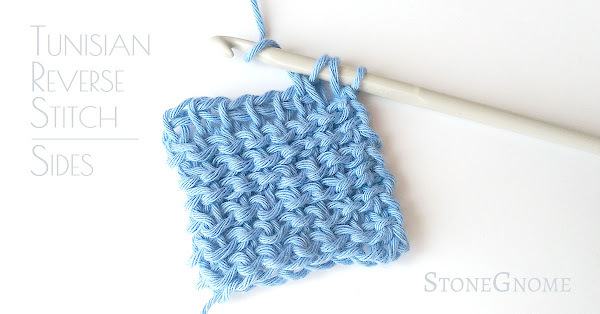 I was asked about the washcloth / dishcloth I made for the slip stitch tutorial. 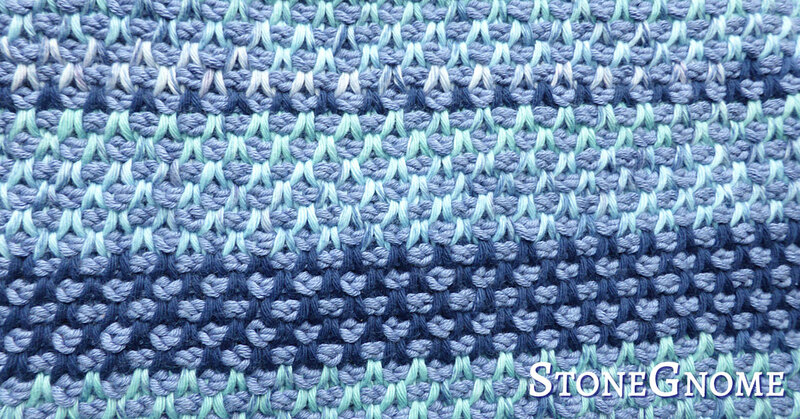 I used Color Stacking which is a member of the Planned Pooling family. A great way to have fun with colors. 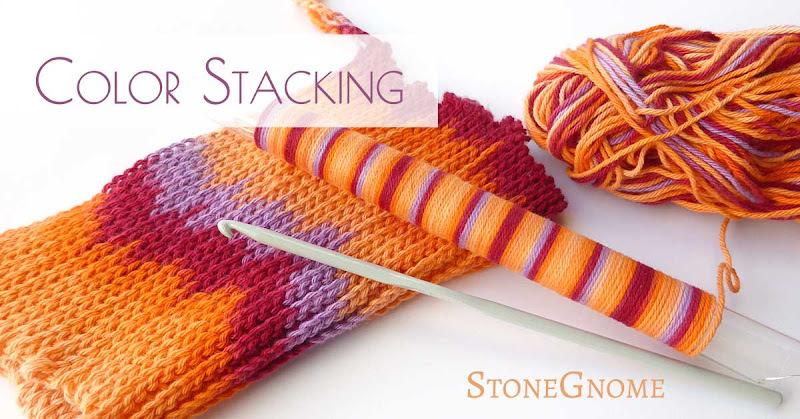 The tutorial here helps you with your first color stacking project. Learn how to make a nice Tunisian knit stitch increase at the left side (or right side, if you are left-handed). I'm experimenting with mitered corners and have developed a way to do the left side increase without it being too tight and knotted. When it is too warm to wear a hat, but your ears get cold, then a headband might be what you need. 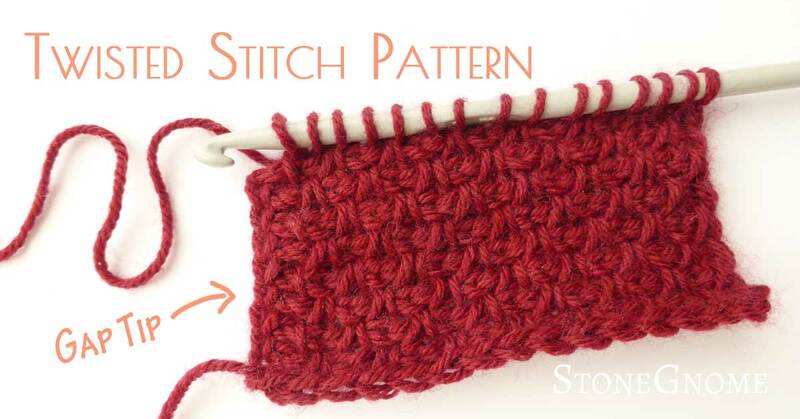 Here is a free pattern for you. Most of my week has been about the Textile Exhibition at Gudhjem Museum. 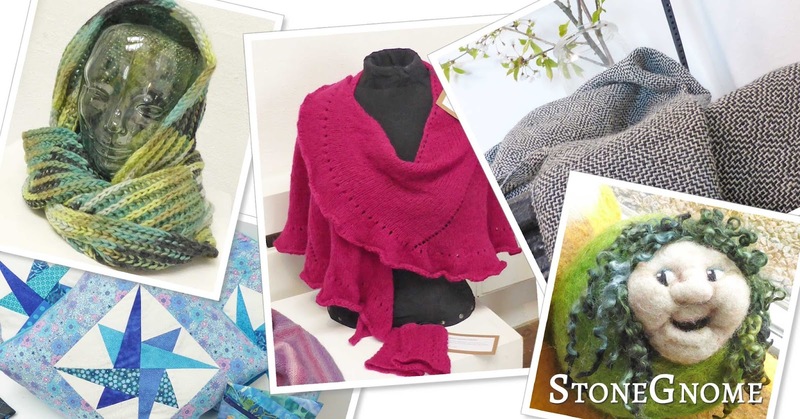 Local crafters are showing their work. It is a show of weaving, felting, patchwork, knitting - and - crochet! 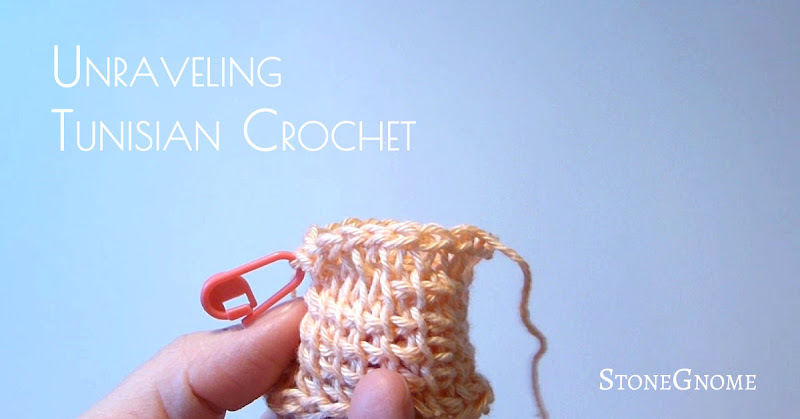 Did you ever think about how many different crocheted ribbings there exist? I think most of us just do whatever a pattern tells us - or you find a page telling you 'how to crochet a ribbing'. 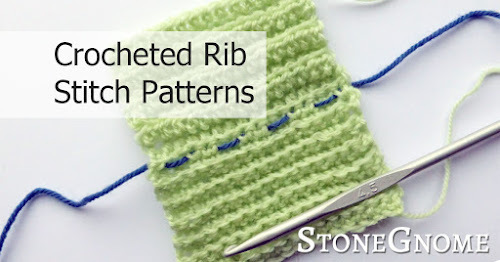 As in one ribbing. Being conscious about the different kinds of ribbing is an advantage, if you want to be able to change an existing pattern or make your own design. 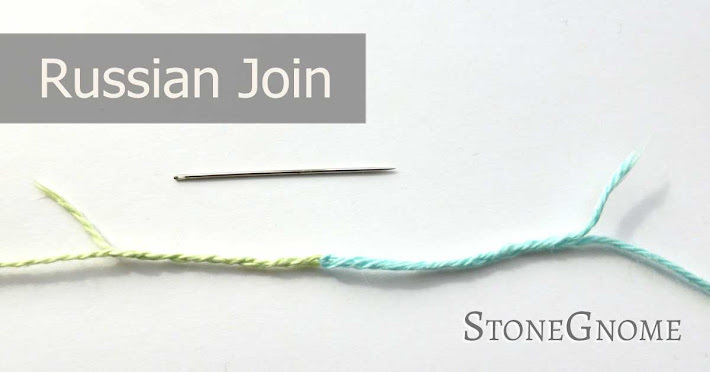 How do you join yarn for a color change - or if you need to add another yarn ball? I don't like knots or sewing in ends. If I do amigurumi, I prefer to crochet over the yarn ends whenever possible. In almost every other case I prefer the Russian Join. To my experience, It can be used with most yarns and it blends in very well. I also use the Russian Join, if I suddenly find a knot in the middle of my yarn ball.